Department of Chemistry is the largest Department of Nizam College. B.Sc program was started way back in 1918 and M.Sc. in 1967. It is the first department to have Chemistry PG program outside the University Campus. 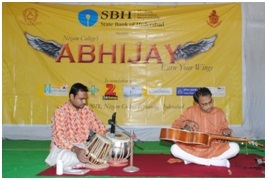 The Alumni include stalwarts like Prof. T. Navaneeth Rao, Prof. M. M. Taqui Khan. The Department offers UG (5 combinations), PG (Physical chemistry with Polymer Chemistry as Elective and Inorganic chemistry with Bioinorganic Chemistry as Elective), PG (Organic chemistry with medicinal chemistry), PG (Pharmacoinformatics), M.Sc Five year integrated Course in Chemistry (FYIC) and three Certificate Courses under Career Oriented Programmes. In Osmania University the Polymer Chemistry elective is offered only at Nizam College and Bioinorganic Chemistry elective is offered at Nizam college and Women’s College (outside the campus). The department has strong faculty working in the fields of Bioinorganic chemistry, Cheminformatics and Molecular modeling, Spectroscopy, Synthetic chemistry and Chemical kinetics. Similar to Nizam College, the Department has also many firsts to its credit: First department to have PG program in chemistry outside the O.U. Campus, First in India to introduce molecular modeling in M.Sc. (Chemistry) curriculum, First in India to introduce Cheminformatics as an add-on course at B.Sc level. The Department is offering 3 career oriented courses in Cheminformatics, Industrial Analytical Chemistry and Synthetic Chemistry; 2 PG Diploma Programmes in Chemical Analysis and Quality Assurance, Cheminformatics. Chemistry Department has started B. Sc course way back in 1918. It has been upgrading the course content regularly, the latest being in 2009. 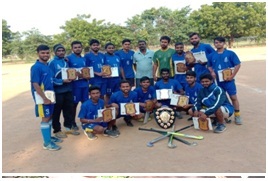 The B. Sc programme at Nizam College is the most sought after, not only in the twin cities of Hyderabad and Secunderabad but also outside of it. The cut off percentage or admission into the B. Sc programme is above 87% in the qualifying exam, the highest among the Colleges affiliated to Osmania University. The admissions to M .Sc, Chemistry are through a common entrance exam conducted by Osmania University. The Department of Chemistry is well funded by various national funding agencies like DST, UGC, BSR, SAP, CPE, apart from the regular autonomy grant, foundation grant from UGC etc., for infrastructure and laboratory development. 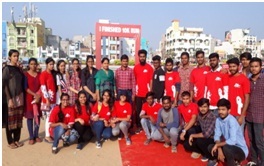 B. Sc students attend summer workshops at various national research centres like IISc, University of Hyderabad, JNSCAR Banglore and are selected for their summer project programme on a competitive basis at national level. Two students have been awarded DST-INSPIRE scholarships. Department of Chemistry, Nizam College is the biggest department with 51 faculty members. It constitutes well qualified, faculty (12 Professors, 39 Contract) who constantly strive for academic excellence and dissemination of knowledge to its student community. The faculty is active in its research endeavors, are resource persons in conducting orientation programmes, refresher courses held by Academic staff college O.U. for other affiliated college teachers under the Osmania University region. Many of them have a stint of post doctoral research experience in countries like USA, Germany, Taiwan, South Africa, France etc. The faculty organizes and participates in national and international seminars on a regular basis. 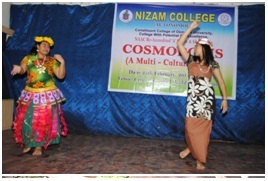 A Science Club was constituted in 2007, at Nizam College, to invite guest speakers who are experts in different fields. Guest lectures are conducted regularly with an aim to expose the Science Students to latest trends in various research fields. This is a forum of all science faculty and students and also science lovers from other departments. In the social front many are members of voluntary social organizations like Dr. A. S. Rao Awards Council. Dr. A. S. Rao Awards Council is organizing orientation and training programmes for the school and college teachers and conducting project trainings for school children in collaboration with Ratan Tata Trust. Two of the professors are also on the editorial committee of the quarterly magazine “Vigyana Malika” published by the DRASRAC and distributed freely for school teachers. Chemistry laboratories were established way back in 1918 for B.Sc level, the department is preserving the primeval apparatus like Cathode tube, ozonizer and it is also preserving 57 elements present in the periodic table in their pure physical state. Department has an air-conditioned computers lab with 15 systems connected to a central server. All the computers are hooked to university internet hub with a provision to access all Journals of SCI finder and ACS publications through internet FLIB net facility under UGC all India University programme. The Department has got Computational Chemistry & Molecular Modeling Software from Schrödinger Company, USA that is used in many Pharmaceutical Labs and Research Institutes. This is used in the teaching of add-on course in cheminformatics for UG students and regular PG students. The Department is housing the analytical lab and has these instruments Atomic Absorption Spectrometer, UV-Vis Spectrophotometer, Water Quality Analyser, Dissolved Oxygen Meter, Fluorimeter, Electrophorisis equipment, TDS meter, Polarograph, BOD/COD analyzer, Ultra centrifuge. Dr. B. Sireesha has been working as Assistant Professor, Department of Chemistry, Osmania University since 2007 and at Nizam College from 2011 onwards. She has completed her M.Sc. in Chemistry with Inorganic Chemistry specialization in 1992 and was awarded Ph.D. in Chemistry in 1997 from Osmania University. She has 25 years of teaching experience at U.G and P.G level and has 26 years of Research Experience, published over 30 Research Papers in reputed International and National Journals with good impact factor. She has also presented 22 research papers in National and International conferences. Her field of research is Coordination Chemistry, Bioinorganic Chemistry, Computational Chemistry, Crystallography, DNA Binding and cleavage studies.10 Research scholars are currently working for their Ph.D. degree and 5 of her research scholars have been awarded PhD Degree for their thesis. Under her supervision about 30 P.G. students have completed their dissertation work. 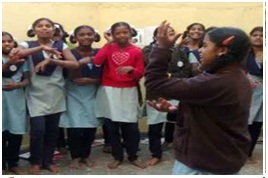 She has completed One UGC Minor research Project 2009-2011, funded by UGC-SERO, Hyderabad and presently has one ongoing UGC Minor research Project 2017-2019, UGC-SERO, Hyderabad. She has delivered guest/invited lectures in various colleges/conferences. She is a Co-Author for TS Government, Telugu Academy English and Telugu media Text books for Chemistry Semester I, II, III and IV, for the CBCS Syllabi. 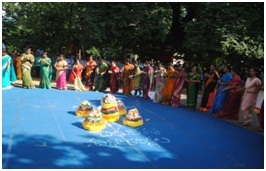 She is presently working as Incharge Head Department of Chemistry, Nizam College. 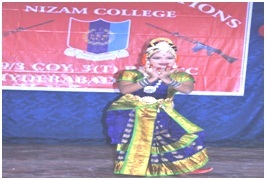 She has been a member of several committees of Nizam College, Osmania University. Academic Coordinator of for 4 years (2014-15 to 2017-18), coordinator for Implementation of CBCS at UG level in the College, and Coordinator for IGNOU Study center-01152, Nizam College. She is a Life member of Indian Chemical society, Kolkata; Indian Association of Chemistry Teachers (IACT) Mumbai; International Society of Teachers and Researchers in Chemistry Bhubaneswar; Indian Society of Analytical Scientists (ISAS) Mumbai and Indian Science Congress Association (ISCA). Dr. SakramBoda was born in Khammam, Telangana (INDIA). He received his M.Sc. from Kakatiya University in 2002 and Ph.D. Degree in Organic Chemistry from Kakatiya University, India, in 2006. After He worked as a Technical officer in IICT Hyderabad. Then He joined as Assistant Professor in OU P.G. College,Mirzapur, Osmania University in 2007. After He transferred to NizamCollege, Osmania University, Hyderabad. He has more than 15 years of teaching and research experience, he has published more than 25 papers in national and international journals. And also a reviewer for reputed journals. He presented more than 16 research papers at national and international conferences. He is life member in Indian science congress and Indian council of a chemist. His current research interest focuses on Synthetic Organic Chemistry. Specialties: Organic Synthesis and biological evaluation in Heterocyclic compounds and synthesis of new 1,8-Naphthyridine derivatives. Research Interests: Synthetic Organic Chemistry and Molecular modeling. YerrabellyHemasri was in born Hyderabad. She received M.Sc and Ph.D from Osmania University, Hyderabad. She has 19years of post graduate teaching and research experience. She completed two UGC research projects (one minor andother a start-up grant project). She was co-mentor for DST SERB Project. She joined Osmania University in 2013 and has been working as Assistant Professor and her research interests are Developing new heterocycles by adapting conventional, green technologies such as Microwave, clay catalysts etc and studying their biological activity studies and has 18 publications at national and international journals. Currently four students are working for Ph.Dwith 3 SRF’sunder her supervision. Dr. Krishnam Raju has obtained his M.Sc. in Medicinal Chemistry from Osmania University, Hyderabad in 2000 and B.Sc.(B.Z.C.) Degree in 1997 from Kakatiya University, Warangal. Dr. Raju has carried out his doctoral research work at IICT and obtained Ph.D Degree in 2007. During doctoral research work Dr. Raju has accomplished the stereoselective total synthesis of anti-tumor agents: both enantiomers of goniothales diol, altholactone, and isoaltholactone as well as the first total synthesis of 6-hydroxy-4E-sphingenines. Dr. Raju worked as a ‘Postdoctoral Research Fellow’ at Prof. J. R. Falck's Laboratory in Department of Biochemistry, University of Texas Southwestern Medical Center at Dallas, Texas, USA between 2007 and 2008. There he was involved in the development of unique synthetic methodologies and synthesized stable analogues of EETs (epoxyeicosatrienoic acids) with clinically relevant vasomodulatory and renal activities. He acquired proficient knowledge in design, synthesis and execution of several polyethylene glycol derived products, pegylation reactions, heterocyclic & optically active compounds while working as 'Research Scientist' in medicinal chemistry program for Sai Advantium Pharma Ltd., Hyderabad between 2008 and 2009. While working at R&D, for Expicor Pharma Pvt. Ltd., Hyderabad as 'Scientific Officer' he has gained experience and exposed to design and synthesis of anti-cancer and anti-viral compounds during 2006-2007. He also has experience in design and synthesis of anti-inflammatory (COX-2 inhibitors) compounds during the tenure as a ‘Chemist’ at Dr. Reddy’s Research Foundation, Hyderabad during 2000-2001. Prior to joining with OU as ‘Assistant Professor’ in Sep 2013, Dr. Raju worked as 'Assistant Professor' in Dept of MC, NIPER-Hyderabad from Aug 2009 to Sep 2013. At NIPER he has involved in Teaching and Research along with some administrative/additional responsibilities such as- Course Coordinator for Dept of Medicinal Chemistry &Dept of Pharmaceutical Management, Aug 2011-Sep 2013; Placement Officer, Oct 2009-Aug 2011; Member, Academic Monitoring Committee; Advisory & Curriculum Committees Member, NIPER-IIBT-USP: Pharma/Biotech Training course; Scrutiny Committee Member, Examinations; Coordinator for Invited Lectures, 2010-2013. Under his supervision 28 Masters Students have successfully completed their one year dissertation projects and received their Master Degrees. Currently 7 research scholars are working with him for their Ph.D. degree. His research activities are supported by various funding agencies like UGC, DST and CSIR. He is a member of several committees of Nizam College, Osmania University. His research work has been published in over 20 articles in leading international chemistry journals and also presented at several international/national conferences. He has delivered over 12 Invited/Guest Lectures, about 15 Oral/Poster presentations and conducted/participated in more than 25 international/national/state conferences/seminars. He is a Life member of Indian Council of Chemists (ICC), and Indian Science Congress Association (ISCA). Dr. M. Radhika is a distinction candidate throughout her education. She was a SRF CSIR candidate during her research. She was awarded Ph.D in Bio-Inorganic Chemistry in the year 2001. 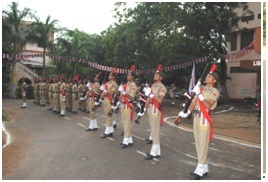 Dr. M. Radhika had a distinct opportunity of teaching at both national and international level. She has 12 years of PG teaching, 2 years of UG teaching and 10 years of research experience. She has worked as Assistant Professor in New Horizon College of Engineering, Bangalore; as a guest faculty in Bangalore University; as a Lecturer in NMKRV College for Women, Bangalore. She has even worked at Cranbrook Primary School, London, U.K. She has published 8 research papers in reputed National & International journals. She has presented research papers in National and International conferences. She is a life member of Indian Council of Chemists (ICC) and Indian Science Congress Association (ISCA), India. Dr. P. Sarita Rajender is working as Assistant Professor, Department of Chemistry, Nizam College, Osmania University since 2013.She has completed her M.Sc , Ph.D and Post-Doc from Osmania University, Hyderabad. Telangana State.India. Her area of research comprises of Computer Aided Drug Design, Molecular Modeling, Synthetic organic chemistry, Computational and Molecular docking studies. She has published a total of 20 research articles in International journals and 5 Indian patents to her credit . She has presented 26 papers in national and international conferences and four oral presentations. Her research articles have 94 citation and H-Index of 6. Her research activity is supported by DST and UGC. She is an editorial board member for an international journal ie Drug designing and development (NAPDD). She gave an oral presentation in Molecular modeling : Drug designing and docking organized by SNIST and delivered a lecture at Sri Venkateshwara College, Suryapet, Nalgonda District, in national seminar on Computer Simulations: Chemistry of Bio Active Molecules sponsored by UGC. She was one of the Resources person for 2 Day workshop on computational drug desing, organised by Dept. of Chemistry, University College of Science, Osmania University - 3-4th April 2014. She is a life member for Indian Science Congress Association (ISCA) and (Indian Council of Chemists) ICC. She has 8 scholars currently working for their Ph.D. degree. She has 23 yrs of teaching UG and PG courses. Dr. B. Vijaya Kumar working as Assistant Professor in the Department of Chemistry at Nizam College since 2013. He obtained his Ph. D from Osmania University. 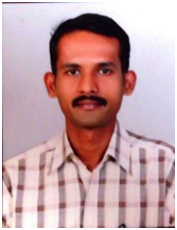 He has completed his M.Sc., with Physical Chemistry specialization from Kakatiya University. He has 6 years of teaching experience at UG and PG levels and above 11 years of research experience. His research interest is synthesis of nanomaterials, core shell and nanocomposites for environmental remediation. He has published 21 research papers in international and national journals and also participated in various conferences/seminars. He has received projects from various funding agencies like UGC, MHRD and DST-SERB. Under his supervision 6 Ph.D. students are working and 9 M.Sc. students have completed their project work. He is a reviewer for several international journals such as RSC Advances, International Journal of Hydrogen Energy, Catalysis Communication, Materials Letters and Micro & Nano Letters. He is a life member of Indian Science Congress. Dr. P. Muralidhar Reddy working as Assistant Professor, Department of Chemistry, Nizam College, Osmania University since 2013. 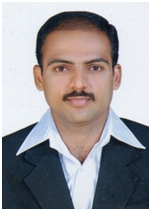 He has received B.Sc., M.Sc., and Ph.D. in chemistry from Kakatiya University, Warangal, Telangana State, India. Dr. P. M. Reddy worked as a visiting faculty member at Tzu Chi University, Hualien for two months in 2014. He also worked as Postdoctoral Fellow (PDF) at National Dong Hwa University (NDHU), Taiwan from August 2007 to September 2013. During this period, he has focused on the synthesis, characterization of nanoparticles towards biological applications and identification of the microorganisms by electrospray ionization (ESI)/Matrix-assisted laser desorption ionization (MALDI) mass spectrometry techniques. During the period of his doctoral research work (2002 to 2006), he has developed various methodologies in Inorganic and Analytical chemistry. He also has Industrial Experience in Analytical Research and Development (AR&D), Hetro Drugs Limited (R&D),Hyderabad, India. He has published 70 Research Papers in reputed International and National Journals (Citations: 1060, h-index: 19, i10index: 30) and two patents to his credit. He has also presented research papers in 50 National and 25 International conferences. He has delivered guest/invited lectures in various colleges/conferences. He is a Life member of Indian Council of Chemists (ICC), Indian Science Congress Association (ISCA), India and Member of Taiwan society for mass spectrometry (TSMS), Taiwan. He is a reviewer for over 15 National and International professional journals. He has 12 years of teaching and 16 years of research experience. His research focuses on Coordination Chemistry, Bioinorganic Chemistry, Organometallic Chemistry, Biological Activity, Catalytic Applications On Drugs, Synthesis & Development of functionalized magnetic Iron oxide (Fe3O4), Titanium dioxide (TiO2), and Silver (Ag) Nanoparticles towards Biological Applications and Developing Mass Spectrometric Methods for Analysis of various Microorganisms. Under his supervision, 13 P.G. students have completed their dissertation work and 9 scholars are currently working for their Ph.D. degree. His research activities are supported by various funding agencies like NSC-Taiwan, Tzu Chi University, UGC, DST and CSIR, New Delhi, India. 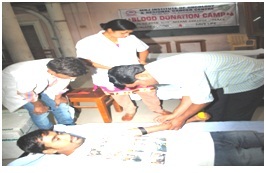 He is a member of several committees of Nizam College, Osmania University. He is presently working as Placement Officer, Nizam College, Osmania University and is a Joint Secretary, Osmania University Chemistry Foundation (OUCF). Dr. P. M. Reddy is recipient of Best Teacher Award-2015 (Nation Builder Award-2015) for the cause of educating the future generation of our country, 5th September, 2015 by Rotary Club of Hanamkonda, Telangana. Received Best Paper Presentation Award (Ranked First) in ICNN-2011 and RAC-2015. He has received two gold medals in B.Sc. and M.Sc. and also received the most popular student award in 1999. 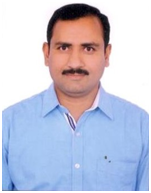 Dr. B. Yadagiri is working as Assistant Professor, Osmania University from May, 2007 and presently working Department of Chemistry at Nizam College since 2014. He was obtained Ph. D from Indian Institute of Chemical Technology, Tarnaka, Hyderabad. He has completed his M.Sc., with Organic Chemistry specialization from P.G. Centre, Bhiknur, Osmania University. He has 11 years of teaching experience at UG and PG levels and 16 years of research experience. He has published 4 patents and 10 research papers in international and national journals and also participated in various conferences/seminars. His research interest is synthesis of heterocyclic compounds and their biological applications. He has received project from UGC (MRP). He is a reviewer for international journals and life member of Indian Science Congress Association (ICSA). She completed her M.Sc in Inorganic Chemistry from Nizam College(O.U) in the year April 2001, joined as Assistant Professor (c) in Department of Chemistry on 2nd July 2001. She has completed her Ph.D in the year 2016 from Osmania University under the supervision of Prof. P. Venkateswar Rao. She Qualified CSIR-UGC NET for lectureship in 2005. Her areas of research are Synthesis and Characterization of Metal Complexes. She has published 7 research articles, 4 articles on teaching methodologies and 4 articles (in telugu) in Vignyana Malika by A.S.Rao Awards council. Worked as a resource person for EAMCET in Minorities welfare department, Nizam College. She has attended more than 20 national and International seminars. She has a teaching experience of 16 years and has taught both UG and PG theory and practical’s. Has been working in the department of chemistry, Nizam College as an Assistant professor (c) for the past 17 years, in the Department of chemistry, Nizam College. 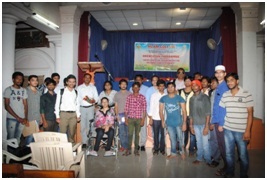 Has been conducting the theory and practical classes for post graduate & under graduate courses. Has attended the refresher course conducted by the academic staff college,OU. Has acted as a resource person for A.S.Rao Award council. Dr ASHOK KUMAR BASWA is an Assistant Professor in the Department of Chemistry, Nizam College, Osmania Univeristy, Hyderabad. Baswa received his Master degree in Physical Chemistry from Osmania University and also received his Doctorate in the field of ‘Molecular Modelling and Drug Designing’ from the Osmania University in the year of 2011. Dr Baswa has done his Diploma course in IPR Law from NALSAR University. During his academic career of more than 14 years till now, Dr. Baswa has taught various subjects at UG/PG levels. He has published 10 papers in various national and International journals. His primary research interests are specifically in the field of Computational Chemistry involving statistical QSAR models, Docking and Homology studies. He completed his M.Sc in Chemistry from Nizam College(O.U) in the year 2004, joined as Assistant Professor (c) in Department of Chemistry on 18th January 2005. He has completed his Ph.D in the year 2012 from Osmania University under the supervision of Prof. M. Vijjulatha. He has qualified CSIR-UGC lectureship in the year 2009. His area of research comprises of Computer Aided Drug Design, Molecular Modeling, Development of CADD methodologies, synthetic organic chemistry, Computational and Molecular docking studies of Metal Complexes. He has published a total of 47 research articles in national and international journals. His research articles have 155 citation and H-Index of 6. He is reviewer for reputed international journals such as Computational Biology and Chemistry, Journal of Molecular Graphics and Modeling, and Journal of Bioinformatics and Sequence Analysis. He has presented 40 papers in national and international conferences. He has delivered three invited lectures for Orientation Course for Pharmacy faculty conducted by UGC Academic Staff College, JNTUH, Hyderabad. He was one of the Resources person for 2 Day workshop on computational drug desing, organised by Dept. of Chemistry, University College of Science, Osmania University - 3-4th April 2014. He has a teaching experience of 13 years for UG and PG courses. He has worked as technical assistance for UGC sponsored Career Oriented Program in Cheminformatics for B.Sc students of the college. Ms. Kavitha Ramdas is working as Assistant Professor (C) in Department of Chemistry, Nizam College since 2005. She is taking both B.Sc. and M.Sc. theory and practical classes. Presently pursuing Ph.D. in Inorganic Chemistry at Nizam College, OU. She was a guest faculty and resource person for audio visual lessons for P G students at Dr. B. R. Ambedkar Open University. She has experience in handling instruments like Atomic Absorption Spectrophotometer (AAS), Flame Photometer, UV-Visible spectrophotometer, High Performance Liquid Chromatography (HPLC) and Infrared spectrophotometer (IR). Participated in various national and international seminars. K. KRISHNA is an Assistant Professor in the Department of Chemistry, Nizam College, Osmania Univeristy, Hyderabad. K. KRISHNA received his Master degree in Organic Chemistry from Osmania University, Qualified NET in the year 2001 and also Submitted his Doctorate in the field of ‘Synthesis, Molecular Modelling and Drug Designing’ to the Osmania University in the year of March 2018. 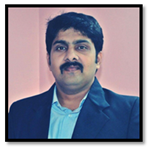 During his academic career of more than 13 years till now, K. KRISHNA has taught various subjects at UG/PG levels. He has published research papers in various national and International journals. His primary research interests are specifically in the field of Synthesis, Computational Chemistry and Catalysis. Very much passionate towards teaching with 12 years of both UG and PG teaching in Nizam College, completed M.Sc in Inorganic Chemistry from Nizam College(O.U) in the year 2005, joined as Assistant Professor (c) in Department of Chemistry on 26th june 2006 and got Ph.D award in the year 2012 from Osmania University. Dr. J. Mohan babu is currently working as an Assistant Professor (C) in the Department of Chemistry, Nizam College. He has over 10 years of experience in Academia. He has completed his M.Sc (organic Chemistry) and Ph.D. from University College of Science, Osmania University in 2006 and 2016 respectively. He was completed Ph.D under supervision of Dr. M.Vijjulatha, professor of Chemistry, University College of Science, Osmania University. His area of research interest is Synthetic Organic Chemistry & Molecular modeling. He was published 07 research papers in reputed international journals. He was attended about 45 conferences of national and international and presented posters and papers. He was regularly Participates as subject expert in Doordarshan (DD Yadagiri channel) live telecast video lesson conducted by Dr.B.R.AMBEDKAR OPEN UNIVERSITY,HYDERABAD. He completed his M.Sc in Chemistry from Osmania University in the year 2004, joined as Assistant Professor (c) in Department of Chemistry on December 2008. He has completed his Ph.D. in the year 2014 from Osmania University under the supervision of Prof. Ch. Prasad Rao. His area of research comprises of Synthesis of Oxygen Containing Heterocyclic Compounds and Their Physiological Interest. He has published a total of 2 research articles in international journals. He has presented his papers in national and international conferences. He has a teaching experience of 13 years for UG and PG courses. He completed his M.Sc in Chemistry from Osmania University in the year 2007, joined as Assistant Professor (c) in Department of Chemistry in July 2009. 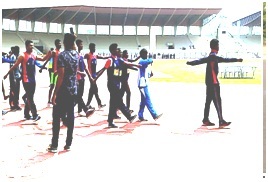 He has qualified APSET in July,2012. He has completed his Ph.D. in the year 2017 from Osmania University under the supervision of Prof. P. Veera Somaiah. His area of research comprises of “Li,Al,Fe,Zn and Zirconia based green catalysts for organic transformations”. He has published a total of 3 research articles in international journals. He has a teaching experience of 9 years for UG and PG courses. M.Sc. Chemistry (Organic) in 2005 from IASE-GVM, Sardarshahar, Rajasthan and started teaching career for UGC sponsored Career Oriented Program in Cheminformatics for B. Sc. 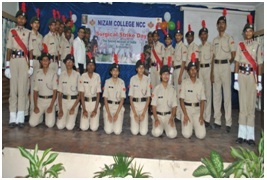 students of Nizam College in 2006-07. Joined as Assistant Professor (contract) in Department of Chemistry on 17th August 2007 for Post Graduate Diploma in Cheminformatics. Ph. D. awarded in September 2017 from Osmania University under supervision of Prof. T. Parthasarathy and published 03 research articles in international journals. Teaching experience 10 years of PG (M. Sc. Chemistry (Pharmacoinformatics)) and 7 years of UG courses. Mentoring M. Sc. 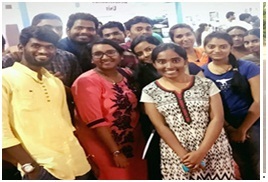 Pharmacoinformatics students in their dissertation work and actively involved in organizing Seminars for students from 2013-14 onwards to till. She did her Post Graduation in Analytical Chemistry from Osmania University College for Women, Koti (OUCW, Koti) during the period 2003 -2005. Immediately after the post-graduation, she joined as a part-time lecturer in Osmania University College for Women, Koti, in 2005. She also worked as “Chemist” from September 2005 till July 2006 in “Accura Analytical Laboratory”. In July 2006, she was appointed as an Academic Consultant in Osmania University College for Women, Koti and continued in the said post till May 2007. In August 2007, she was appointed as an Academic Consultant in the Department of Chemistry, Nizam College, OU. Presently she is continuing as an Assistant Professor (Contract) in the Department of Chemistry in Nizam College, OU. 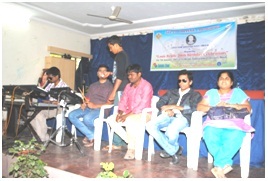 She was also a guest faculty at BMR Degree College, Siddipet, Medak (Dist), Andhra Pradesh during the academic year 2009 – 2010. She also conducted M.Sc practical sessions for students in the Department of Forensic Chemistry, Osmania University, on the invitation of the said Department, during the academic year 2011 – 2012. She is also a Guest Faculty at Sarojini Naidu Vanitha Mahila Vidyalaya, Nampally; Bhavan’s New Science College, Narayanguda and Vasundhara Degree & PG College, ECIL X Roads, ECIL, Hyderabad during the academic year 2017-2018. She is also a Teaching faculty for P.G. Diploma in Analytical Chemistry (PGDAC), Indira Gandhi National Open University (IGNOU) for the academic years 2017-18 & 2018-19. She has experience in handling instruments like Atomic Absorption Spectrophotometer (AAS), Flame Photometer, UV-Visible Spectrophotometer, High Performance Liquid Chromatograph (HPLC), and Infrared Spectrophotometer (IR). She pursued her research under the guidance of Dr. Ch.Sarala Devi, Professor, Department of Chemistry, Osmania University and was awarded the Degree of Doctor of Philosophy in Chemistry, on the Thesis entitled “Physico-Chemical Studies on the Derivatives of Methylidene Acetohydrazide and their Metal Complexes” in December 2013. She has five publications in National and International Journals. She has actively participated in several State and National Level Seminars and has presented papers. She has also attended several Refresher Courses and Workshops. She did her Post Graduation in Analytical Chemistry from Osmania University College for Women, Koti during the period 2005 -2007. In August 2007, she joined Department of Chemistry, Nizam College and since then she is continuing as Assistant Professor (Contract) in the Department . She has experience in handling instruments like Atomic Absorption Spectrophotometer (AAS), Flame Photometer, UV-Visible Spectrophotometer, High Performance Liquid Chromatograph (HPLC), and Infrared Spectrophotometer (IR). She is pursuing her research under the supervision of Dr. Ch.Sarala Devi, Professor, Department of Chemistry, University College of Science, Osmania University , Hyderabad. She has six publications in National and International Journals. She has actively participated and attended various National and International Conferences. Dr. M. Kiran Kumar, is Assistant Professor (C) at The Department of Chemistry, Nizam College, Osmania University since 2010. He is working on identifying novel leads for Tuberculosis therapy. His field of research interest includes identification of new molecular entities (NME’s) using Computational Chemistry, Chemical - Biology and Cheminformatics and Bioinformatics related Software tools. He received Young award for Best Oral Presentation at the 30th Annual Conference Indian Council of Chemists - 2011. He attended an international conference at State University of New York, Albany, USA and received travel grant from Department of Science and Technology (DST), India. He has been mentoring M. Sc. and M. Pharmacy students in their dissertation work and actively involved in organizing Seminars and workshops for students. Dr. M. Kiran Kumar secured 2 international patents, published 10 research articles in reputed international journals and has presented about 25 papers at various International and National Conferences. Since 2010, Dr S P Lavanya has been working as Assistant Professor (PTL) in Depart of Chemistry, Nizam College, She has teaching stints in both under graduate and post graduate courses. Prior to joining academics she joined as a research scholar. She completed her Ph D in Chemistry from Osmania University and published five international papers. She holds a Masters in organic chemistry and has a completed Bachelors of Education in biological sciences.She has been involved in field of in-silico works which landed her to guide M.Sc Pharmacoinformatics students as mentor for their project works. Dr. N. Rajitha is working as Part Time Lecturer, at Nizam College, Osmania University from July, 2010. She obtained Ph. D from Osmania University, Tarnaka, Hyderabad. She has completed her M.Sc., with Organic Chemistry specialization from N.B. Science College, Osmania University. She has 8 years of teaching experience at UG and PG levels and 8 years of research experience. She has published 2 research papers in international and national journals and also participated in various conferences/seminars. Her research interest is Oxidation reactions, chemical kinetics and their biological applications. P.mahender , m.sc in-organic chemistry, i have been Working faculty of chemist since 2011to till date in the department of chemistry, nizam college, ou , hyderabad. E.PRAVEEN is currently working as an Assistant Professor (PTL) in the Department of Chemistry, Nizam College. He has over 07 years of experience in Academia. He has completed his M.Sc (Inorganic Chemistry) from Osmania University PG College ,Mirzapur in 2007. He was enrolled for Ph.D under supervision of Dr. M.Sayaji Rao, professor of Chemistry, University College of Science, Osmania University. His area of research interest is inorganic complex preparation and drug analysis using spectro-photometric methods. Mr. M.KESHAVULU is working as a Part Time Lecturer since 2012 in the Dept. of Chemistry, Nizam College. He visited Ambedkar Open University as a Counselor.